"We are here to rediscover a race, with a new formula for the 21st century.Welcome to the Formula E - Electric Street Racing Series." The introductory sentence is part of the FIA ​​Formula E official website. The track has changed, to become more colorful since the presence of motors driven by motorcycles in the automotive sector who are constantly trying to push a combustion internal engine-based identical to oil-based vehicles for centuries. Now, thanks to the existence of Formula E, the existence of environmentally friendly electric cars in this prestigious race further reinforces the position taken into account. Formula E is a world-class race car championship, identical to the already existing Formula 1 event. The concept of Formula E was launched by Jean Todt, President of the International Automobile Federation (FIA), which, according to the official website of Formula E, is a way to demonstrate the potential of electric cars as a sustainable mobility tool. In response, Alejandro Agag, a Spanish sports entrepreneur, fully supports the creation of Formula E, as well as its CEO. 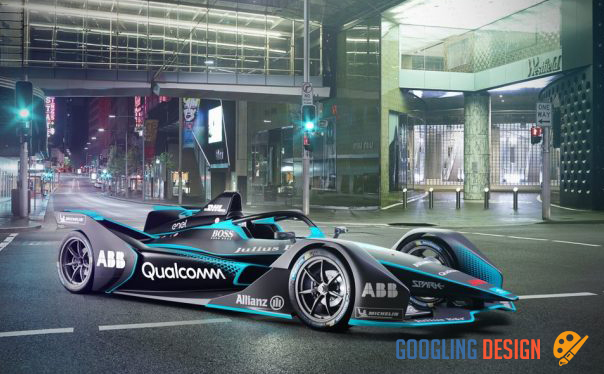 Working on this ambitious project, Formula E drivers collaborate with many partners in the motor sport sector such as Williams, McLaren, Michelin and Dallara, whose big names are already familiar in the world of Formula 1. During the first season of 2014, the opening series took place on the circuit of the city of Beijing, symbol of the fight against air pollution in the city. This first event is also an advantage and can take place in the streets of the city because the noise level is reduced to about 80 dB while the roar of Formula 1 can reach 134 dB. So it's not surprising that the next series uses urban circuits in Buenos Aires, Monte Carlo, London and Putrajaya, Malaysia. All cars from the first season are supplied and built by Spark Racing Technology. The car is called Spark-Renault SRT 01E. Containing an electric motor developed by McLaren, the frame was designed by Dallara, a battery system created by Williams Advanced Engineering and a five-speed gearbox supplied by Hewland. In the wheel sector, Michelin is an official partner. According to information provided by The Engineer, McLaren's development of motorcycles and electricity was developed five years ago and officially took place in September 2014 and was subjected to a period of intensive testing.This electric motor first drives the rear wheels of a race car through a four-speed gearbox. The weight and physical problems of the electric motor are certainly much lighter than the internal combustion engine in general, weighing only 26 kg and can provide more than 250 horsepower. The electric motor is expected to be capable of roaring up to 17,500 rpm, which is similar to the Formula 1 V8 internal combustion engine. The torque is almost immediately obtained immediately, which gives a lighter acceleration and accelerates immediately. The energy of an electric motor is obtained from Lithium-ion type batteries that are common in electronic devices such as laptops and mobile phones. It's driving. The flow of energy between the battery and the electric motor is controlled by the electronic control motor. All electrical systems operate at very high voltages up to 800V.